What does it take for a group to successfully grow and to elevate one step higher than the rest? This kind of question has been bothering every organizers, committee members and officers of groups that have been established ever since the era of groupings has begun. This question has become their guiding light in making sure that the organization is still walking at the right path and still heading unto the intended direction. Well, the answer simply lies within each of its members. It is still the members, who share most of the percentage when it comes to making the group successful in each endeavor it partakes. And, it is the members’ will, determination, and passion that still prevail. Therefore, members should be given the right value in order to maintain the group’s present stature. In the case of The Bricklayers’ Club, members are still its priority in making sure that the organization still works and that it is still capable of delivering the best service that it could afford to give to its beneficiary – the community. 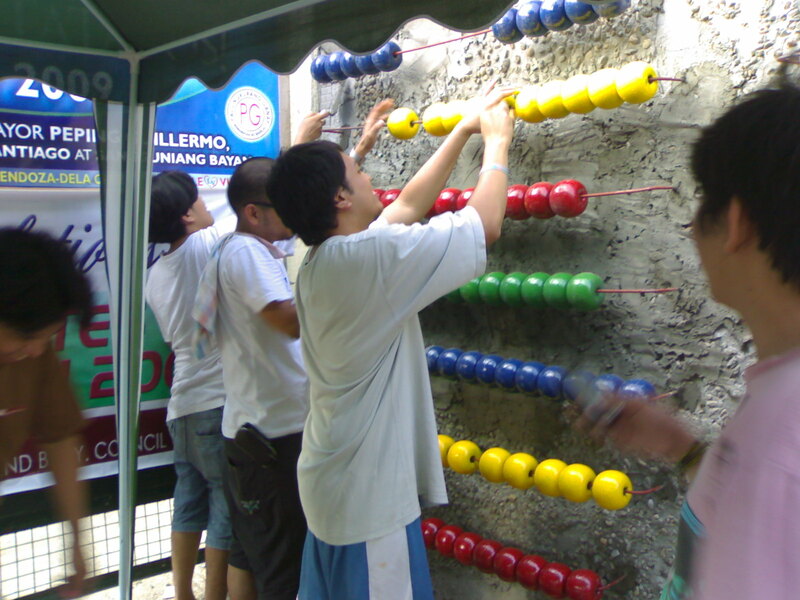 Last August 15, 2011 (Monday) was the General Membership Assembly of The Bricklayers’ Club, which was held at The Coffee Beanery in Quezon City. The event was a call to recruit new members, to review past projects, and to discuss upcoming projects as well. The assembly was also a call to introduce the organization’s official media partner – UNTV Channel 37. To sum it all up, the event was a call to re-strengthen the group’s main foundation – its members. New members have been added and they are expected to share their time, talent and skills to the group along with their sincerity, willingness and unconditional effort. TBC members did utilize the event by looking back at previous projects and contemplate on the effects it made to the community. By simply contemplating on past projects, members have understood how small and low-budgeted projects were able to materialize and were able to create ripple to the community. With this, the group (old and new members) became more aggressive, more passionate, and more determined in doing more worthwhile projects. Members of The Bricklayers’ Club shared a glimpse of upcoming projects that will materialize very soon. Those projects are expected to create new and lasting impact to the society and will, later on, create ripple as it changes lives, lifestyle and perception. Knowing the vision of the group allows members to realize what their current stand is, what kind of action should be made, and what kind of agenda should be served. The introduction of UNTV Channel 37, TBC’s official media partner, will be of great help in extending the group’s effort in giving community-oriented services. As the group enters the mainstream media, it is expected that TBC will be able to widen its cape as it unfolds its advocacy to the general public. With this, influencing and creating change will be easier. Even though vision and action have been determined amongst the group, the fire of passion [still] needs to be lighted. Passion is the guiding force and the prime motivator of the group. It fuels the organization’s will to move forward while responding to the challenges of time. Passion lives in me, in you, and in each one of us. We (members of TBC) are not just a group of individuals united by one call – Architecture. We are not just architects, practitioner and students, who worry much of our personal future, dreams, and desires. We are nation builders… and we serve this country by means of introducing community-relevant design solutions. Through the aid of our dedication, passion and advocacy, we will continuously seek different ways on how we’ll be able to make our theories become part of this ever-changing reality. The Bricklayers’ Club is not really about us… It is about the community we serve. The weather is changing in every hour and even in every half an hour due to typhoons visiting the country. And I think the bad weather condition has finally affected me. I ended up my work with a pinch of headache just earlier this afternoon. I felt pain and I had no choice but to find a perfect place to ease the pain. So, what I did was (right after leaving the construction site), I went straight to Trinoma searching for The Coffee Bean and Tea Leaf’s outdoor branch. After searching for it, I immediately entered the store and took advantage of my free coupon for this month (courtesy of CBTL’s The Giving Journal). I tried to ease the pain by drinking a small apple pie tea latte (my newly-found favorite among the array of tea lattes) while reading articles from an architectural magazine. While reading those articles, I came to realize that, as a newly-proclaimed registered and licensed architect, I do need to learn much more things. Yes, I really need to. I still need to educate myself more, hone my skills more, and sharpen my principles more in order for me to widen my horizon as an architect. In short, I must continue learning. 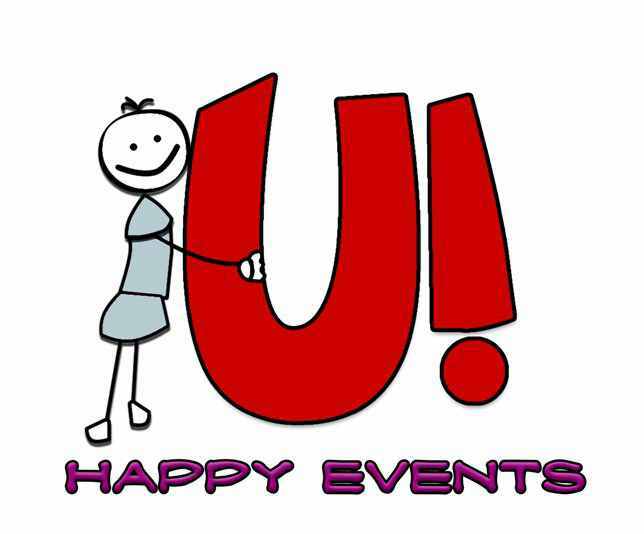 As I continue to contemplate on those realizations, I was reminded by an event entitled “U! 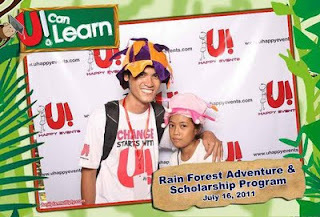 Can Learn”, which took place last July 16, 2011 held at the Rainforest Park in Pasig City. The event was actually the third installment of U! Can (an 8-part event series hosted by U! Happy Events for Kids Foundation in partnership with The Coffee Bean and Tea Leaf). The chosen beneficiary for this event was Jesus Loves Little Children Foundation, Inc. (an orphanage located in Pasig City) and the main objective was to give joy among orphans and to aid scholarship in order for them to experience a life full of learning. 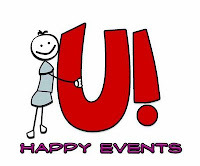 Among the last three events under U! Can, this one was the most unique event because of its nature-friendly setting and its theme, which was fun and games. Yes, the entire event was filled with games and each game required us volunteers together with our kids to work together hand in hand in order for us to be able to accomplish the required task. Each game gave us the opportunity to think strategically and creatively and as a result, we ended the day carrying with us not just memories, but leanings. I’m pretty sure that the kids learned a lot from the park’s educational tour, from the games set by the organizers, and from us volunteer. I can’t exactly give or enumerate the things that they’d learned from the event and from us volunteers because learning is basically unpredictable and boundless. But, if there’s one thing that I should elaborate… then that should be their realization. Through the event, those kids were able to realize that there are still a lot of people willing to give time and effort just for them to be able to attend schooling and have a brighter future. That simple realization would simply alter the way they see life, the way they value education, and the way they should pursue for a much brighter future. And for our part as volunteers, we did learn from them (the kids) too. 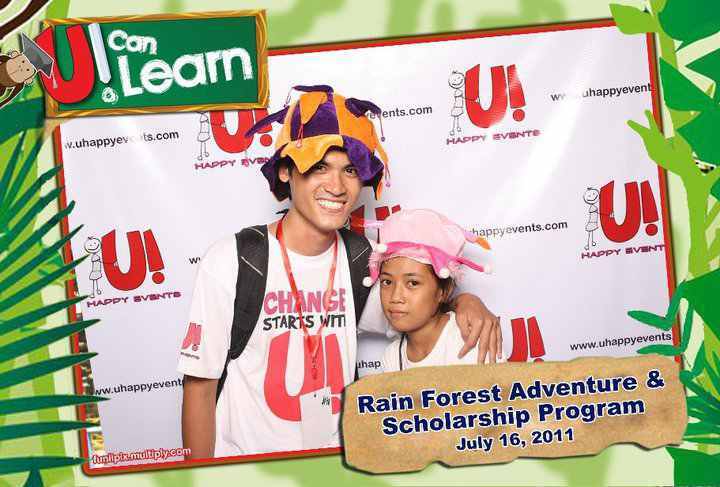 We learned to have fun in spite of our hectic schedule and work overload; we learned to give joy amidst our personal difficulties and challenges that we’re facing; we learned to give love even though we sometimes lack love from others; we learned to share our blessings even though our personal expenses demand more; and we learned to value education more than we usually do. *Learning is a never-ending process and there’s no such rule on what age or up to what extent of our life we should stop learning. *We should always remind ourselves that being much older from the rest doesn’t give us the authority to just teach the younger ones without even learning from them. *Learning can always be acquired by everyone and it is the responsibility of everyone to share it with their fellow men. *Don’t consider yourself exemplary if you are part of the learned people. Instead, consider yourself exemplary only when you’ve been able to share to other people what you’ve learned.